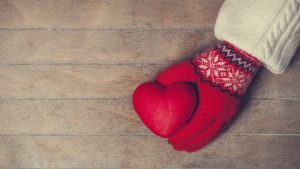 It’s that time of year again: That time when nonprofits start to think about capitalizing on the charitable mood that tends to spike around the holiday season. But here’s the problem: Just about every nonprofit across the country is having this same inclination. Take Colorado, for instance: We have Colorado Gives Day every year in early December, which is a 24-hour period in which Coloradans are encouraged to give to their favorite registered nonprofit. The nonprofits who raise the most then receive an extra funding boost from an incentive fund created for that day. But with all that competition, there’s plenty of noise, especially in the digital space. So how do you help your campaign stand out? That’s a question many clients have posed to us — so much so that we’ve developed a bit of a playbook; one that has shown to be particularly helpful for smaller nonprofits looking to fully dive in to the holiday giving season for the first time. Organize your audiences: Your nonprofit likely has a donor list as well as an email list. Organizing them into one spreadsheet separated into three specific columns — first name, last name and email address — will make it much easier to plug them into your digital ad campaigns, especially on Facebook. Build and tracking your audiences: If you haven’t already, place a digital tracking pixel two places: 1) in the header on your website and 2) on the “Thank You” page of your giving campaign (i.e. the page that your audience ends up on after completing a donation). This will allow you to do two things: 1) incorporate anyone who is coming to your website into the audience you’re able to target with your digital advertising campaigns and 2) track all donations from start to finish. Copy: This is not the time to deliver buzz words and elevator pitches. This is the time to craft your strongest, most specific messages aimed at extremely targeted audiences. And resist the urge to drone on. You might remember from a previous blog post we penned that research has showed the ideal length of a Facebook post is a mere 40 characters. That may not be a realistic goal for your copy, but brevity is your friend. Creative: The most important thing to note is that video is the top way to drive engagement, while photos are the best way to drive conversions. So in earlier campaigns as you’re trying to raise awareness about your impending call-to-action, using a video under 30 seconds might make sense. Conversely, when you’re ready to make a call-to-action, it likely makes sense to use a compelling photo to draw you’re audience’s focus to the URL that takes them to the donation page. Develop a hashtag that is unique to your campaign as well as a package of social media copy and creative that is optimized for Facebook, Twitter, LinkedIn and Instagram (note that Instagram isn’t the preferred platform for driving traffic off-platform to your donation page, but it could be helpful in raising general awareness about the campaign if you or an influencer has a particularly large Instagram following). Then send that content to all of your partners to push out on your behalf. If you have any partners with particularly large social followings, consider asking them to tag you as a branded content partner in a Facebook post related to your campaign. This will allow you to gain access to the metrics from that post and target the audience that engages with that post in your own campaigns. 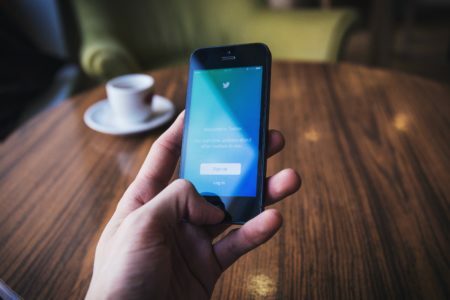 Stage 1 — Follower campaign: Especially if your social media audience is on the small side, starting with a campaign aimed at growing your social media following(s) will help grow the audience that you can then attempt to activate for your call-to-action campaign. A secondary goal of this first campaign is to test your copy and creative to find out which messages are most effective when targeting specific audiences. Stage 2 — Awareness campaign: The goal of this campaign is to reach as wide and engaged an audience as possible — one that you can later target as part of your call-to-action campaign. As such, it’s a great time to activate your most compelling video, as that is typically the best way to drive engagement across social platforms. Stage 3 — Call-to-action campaign: This is the piece de resistance, and as such, this campaign should be activated on multiple platforms, if possible. On social media, you should target all of your email and donor lists as well as those who have visited your website and interacted with your follower and awareness campaigns. You should also launch an email campaign aimed at any and all lists you may have. And lastly, you should consider organizing an in-person event, at which you would stage computer and mobile devices across the space to allow attendees to log on and donate in person.